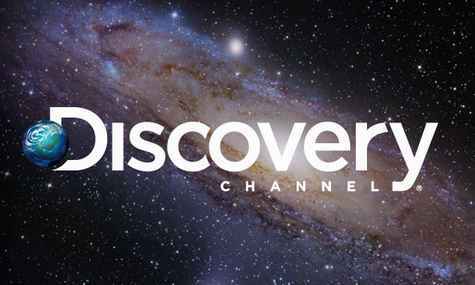 Here is the list of All Discovery Channel Sweepstakes 2019 so that you have an amazing chance to win an exciting prize from Discovery. So if you wouldn’t want to miss any sweepstakes, contest & giveaway from Discovery Channel then bookmark this page and come back each day . Description: One lucky grand prize winner will receive a 49-day trip around the world for two people. Total ARV of grand prize is: $31,000.!! Start Date: April 01, 2019 at 12:00 p.m. ET. Ends Date: April 15, 2019 at 12:00 p.m. ET. Description: One lucky grand prize winner will receive a MLB Network themed American Chopper motorcycle. Total ARV of grand prize is: $85,000.!! Start Date: February 12, 2019 at 12:00 p.m. ET. Ends Date: March 20, 2019 at 12:00 p.m. ET. 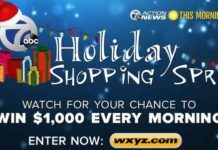 Description: One lucky grand prize winner will receive a $5,000 cash prize which will be awarded in the form of a check made payable to the winner. Note: Premieres All DeLong Day $5K Giveaway Code Word Available. Start Date: September 3, 2018 at 3:00 p.m. ET. Ends Date: September 3, 2018 at 11:59 p.m. ET. Description: Win Discovery Swag Pack that includes a Yeti Rambler Bottle (ARV: $55.00), Canvas Backpack (ARV: $40.00), and a Compass Bracelet (ARV: $5.00). Each swag pack’s ARV is $100.00, the total ARV for all 8 winners is $800.00. Note: Naked Naked & Afraid Code Word Available. Start Date: May 13, 2018 at 12:00 a.m. ET. Ends Date: July 3, 2018 at 11:59 p.m. ET. Description: Win a trip to Oahu, Hawaii for a family of four(4) to have a real shark encounter. You can also win a secondary prize of a SWEDISH FISH/Shark Week Prize Pack. Description: Win five-day all-inclusive experience with round trip air travel for two to San Diego, CA where you could experience a Great White Shark cage diving excursion with Islander Charters off Guadalupe Island, Mexico.